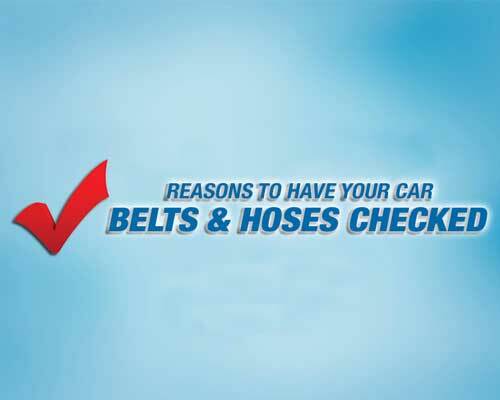 Your belts and hoses help keep everything moving under your car’s hood! It’s important to check your belts and hoses during every oil change! You should also check your Antifreeze every winter and change it every 3 years, or when needed. To help you know when your belts and hoses require attention, we’ve come up with this handy checklist. You experience a lack of heat from the heater. There is an unusual smell from the engine compartment. You find liquid under the front of the car. You hear a whining noise from the front of the engine. Your driver’s compartment or passenger compartment rug is wet. Your temperature gauge is running higher or lower than normal.